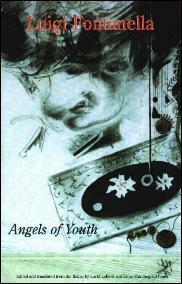 Angels of Youth is a translation of Ceres, Fontanella's ninth volume of poetry, originally published in Italian by Caramanica Editore. The Italian edition won the Orazio Caputo Prize and the Olindo De Gennaro Prize, and received over thirty reviews in prestigious literary journals in Europe and the United States. Devised with American readers in mind, the Xenos translation makes subtle modifications in the content, reorganizes the book's structure and adds two new poems. speaks of loss, but it avoids a purely elegiac tone by rooting itself squarely in the plentitude of the here and now." ~ Rebecca J. West, Professor of Italian Literature, University of Chicago.